Not to be confused with Dominique Dunne. 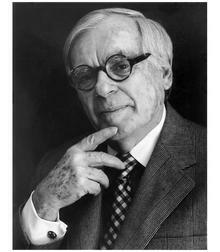 Dominick John Dunne (October 29, 1925 – August 26, 2009) was an American writer, investigative journalist, and producer. He began his career as a producer in film and television, noted for involvement with the pioneering gay film The Boys in the Band (1970) and the award winning drug film Panic in Needle Park (1971). He turned to writing in the early 1970s. After the 1982 murder of his daughter Dominique, he came to focus on the ways in which wealth and high society interacts with the judicial system. A frequent contributor to Vanity Fair, Dunne also appeared regularly on television discussing crime from the 1980s to the end of his life. Dunne, the second of six children, was born in Hartford, Connecticut, the son of Dorothy Frances (née Burns) and Richard Edwin Dunne, a hospital chief of staff and prominent heart surgeon. His Irish Catholic family was wealthy; his maternal grandfather, Dominick Francis Burns, founded the Park Street Trust Company. However, from his earliest days, Dunne recalled feeling like an outsider in the predominantly "WASPish" West Hartford. He was the older brother of writer John Gregory Dunne; they had two sisters, Harriet and Virginia, and two brothers, Richard Jr. and Stephen. John Dunne became a screenwriter and critic, marrying journalist Joan Didion, who also wrote novels. They collaborated on a column for The Saturday Evening Post and on several screenplays, including The Panic in Needle Park. Dominick Dunne produced this film, starring Al Pacino in his first leading role. As a boy, he was known as Nicky. After attending the Kingswood School and Canterbury School in New Milford, Connecticut, he attended Williams College. He served in World War II where he received the Bronze Star for heroism during the Battle of Metz. After serving in the military, he attended and graduated from Williams College. Dunne then moved to New York City, where he became a stage manager for television. He was later brought to Hollywood by Humphrey Bogart, who wanted Dunne to work on the television version of The Petrified Forest. Dunne worked on Playhouse 90 and became vice-president of Four Star Television. He hobnobbed with the rich and famous of those days, including Elizabeth Taylor. In 1979, beset with addictions, Dunne left Hollywood and moved to rural Oregon. Here he says he overcame his personal demons and wrote his first book, The two Mrs. Grenvilles. When interviewed he said that this book saved his life and was the pathway to other books on the tribulations of the upper echelons of society. The two Mrs. Grenvilles was based on the banking heir Woodward who was shot by his wife. In November 1982, his daughter, Dominique Dunne, best known for her part in the film Poltergeist, was murdered. Dominick Dunne attended the trial of John Thomas Sweeney, who was convicted of voluntary manslaughter. According to Dunne's account in Justice, Sweeney was sentenced to six-and-a-half years, but served only two and a half after his conviction. Dunne wrote the article "Justice: A Father's Account of the Trial of his Daughter's Killer" for the March 1984 issue of Vanity Fair. Dunne started writing regularly for Vanity Fair. He based several bestselling novels on real-life events, such as the murders of Alfred Bloomingdale's mistress Vicki Morgan and banking heir William Woodward, Jr.. He eventually hosted the TV series Dominick Dunne's Power, Privilege, and Justice on CourtTV (later truTV), in which he discussed justice and injustice and their intersection with celebrities. Famous trials he covered included those of O.J. Simpson, Claus von Bulow, Michael Skakel, William Kennedy Smith, and the Menendez brothers. He was portrayed in six episodes of American Crime Story: The People v. O.J. Simpson by Robert Morse, where his opening appearance portrays him being given a seat at the trial by Judge Lance Ito, next to the parents of Ron Goldman, during which meeting reference is made to the murder of Dunne's daughter Dominique, and the "slap on the wrist" Dunne felt that her killer received. Dunne's account of the Menendez trial, Nightmare on Elm Drive, was selected by The Library of America for inclusion in its two-century retrospective of American true crime writing, published in 2008. In 2005, California Congressman Gary Condit won an undisclosed financial settlement and an apology from Dunne, who had earlier implicated him in the disappearance of Chandra Levy in Washington, DC. The intern was from Condit's U.S. House of Representatives district. Dunne alleged that Condit had been having an extramarital affair with her in Washington. In November 2006, Dunne was sued again by Condit for comments made about the former politician on Larry King Live on CNN. This suit was eventually dismissed. Dunne frequently socialized with, wrote about, and was photographed with celebrities. A Salon.com review of his memoir, The Way We Lived Then, recounted how Dunne appeared at a wedding reception for Dennis Hopper. Sean Elder, the author of the review, wrote: "But in the midst of it all there was one man who was getting what ceramic artist Ron Nagle would call 'the full cheese,' one guy everyone gravitated toward and paid obeisance to." That individual was Dunne, who mixed easily with artists, actors and writers present at the function. Dunne was quoted as saying that Dennis Hopper wished he "had a picture of myself with Allen Ginsberg and Norman Mailer." In 2008, at age 82, Dunne traveled from New York to Las Vegas to cover O.J. Simpson's trial on charges of kidnapping and armed robbery for Vanity Fair magazine; he said this would be his last such event. Dunne's adventures in Hollywood were described in the documentary film Dominick Dunne: After the Party (2008), directed by Kirsty de Garis and Timothy Jolley. This film documents his successes and tribulations in the entertainment industry. In the film, Dunne reflects on his past as a World War II veteran, falling in love and raising a family, his climb and fall as a Hollywood producer, and his comeback as a writer. In 2002, Director Barry Avrich released an unauthorized documentary on Dunne called "Guilty Pleasure". The film was a more candid look at Dunne's life including those that had issues with his journalistic style. Avrich's film was released globally and featured Johnnie Cochrane, Griffin Dunne and producer David Brown. In September 2008, Dunne disclosed that he was being treated for bladder cancer. He was working on Too Much Money, his final book, at the time of his death. On September 22, 2008, Dunne complained of intense pain, and was taken by ambulance to Valley Hospital. Dunne died on August 26, 2009, at his home in Manhattan and was buried at Cove Cemetery in the shadow of Gillette Castle in Hadlyme, Connecticut. On October 29, 2009 (what would have been Dunne's 84th birthday), Hollywood friends and some reporter friends, along with new Hollywood figures, gathered at the Chateau Marmont to celebrate Dominick Dunne's life. Vanity Fair magazine paid tribute to Dunne's life and extensive contributions to the magazine in its November 2009 issue. After his death, Dominick's son, Griffin Dunne, confirmed his father's bisexuality and 20-year celibacy, marveling that his father had kept this central part of his personality to himself almost until he died. Dominick Dunne was the brother of author John Gregory Dunne; the writer Joan Didion was his sister-in-law. He was married to Ellen Beatriz Griffin from 1954 to 1965. He was the father of Alexander Dunne and the actors Griffin Dunne and Dominique Dunne, as well as two daughters who died in infancy. Dominique Dunne, most known for her role in the film Poltergeist, was strangled by her ex-boyfriend John Sweeney, resulting in her death on November 4, 1982. Dominick Dunne covered the trial of his daughter's murder for Vanity Fair, and was outraged alongside the rest of his family when Sweeney received acquittal of the second-degree murder charge in favor of voluntary manslaughter. ^ Nemy, Enid (August 26, 2009). "Dominick Dunne, Chronicler of Crime, Dies at 83". The New York Times. Retrieved August 27, 2009. ^ "Dominick Dunne: 1925–2009". Vanity Fair. August 26, 2009. ^ a b McNally, Owen (August 26, 2009). "Celebrity Author And Hartford Native Dominick Dunne Dies at Age 83". The Hartford Courant. Archived from the original on August 28, 2009. Retrieved August 26, 2009. ^ Sudyk, Bob (May 24, 1998). "Dunne's Trials from Hartford to Hollywood to Hadlyme with a Writer Who's Known the Peak of Fame and Despair's Deepest Trough". The Hartford Courant. Retrieved August 26, 2009. ^ Arnold, Laurence (August 26, 2009). "Dominick Dunne, Chronicler of High Society Justice, Dies at 83". Bloomberg. Retrieved August 26, 2009. ^ a b Sean Elder (October 13, 1999). "A Dunne deal". Salon.com. Archived from the original on June 30, 2006. Retrieved March 31, 2007. ^ "Ailing Writer Says O.J. Trial To Be Last". reviewjournal.com. September 22, 2008. Retrieved September 22, 2008. ^ "Crime Writer Rushed From O.J. Trial To Hospital". CNN.com. September 22, 2008. Retrieved September 22, 2008. ^ "Society crime writer Dominick Dunne, dies at 83". CNN.com. August 26, 2009. Retrieved August 26, 2009. ^ "Dominick Dunne's Bisexuality Confirmed By Son (VIDEO)". Huffington Post. March 18, 2010. ^ "Dominick Dunne – producer". IMDb. Retrieved January 1, 2009. "Dominick Dunne". Find a Grave. Retrieved August 30, 2010. This page was last edited on 5 April 2019, at 19:13 (UTC).